A telegram from Heinrich Himmler to the grand mufti of Jerusalem has been found in the archives of Israel’s National Library. Published on the library website on Wednesday, the telegraph notes that the struggle against world Jewry has been a principle of the German National Socialists from the start, and that the regime has always followed “with particular sympathy,” the struggle of “freedom-loving Arabs,” especially those in Palestine battling the Jews. 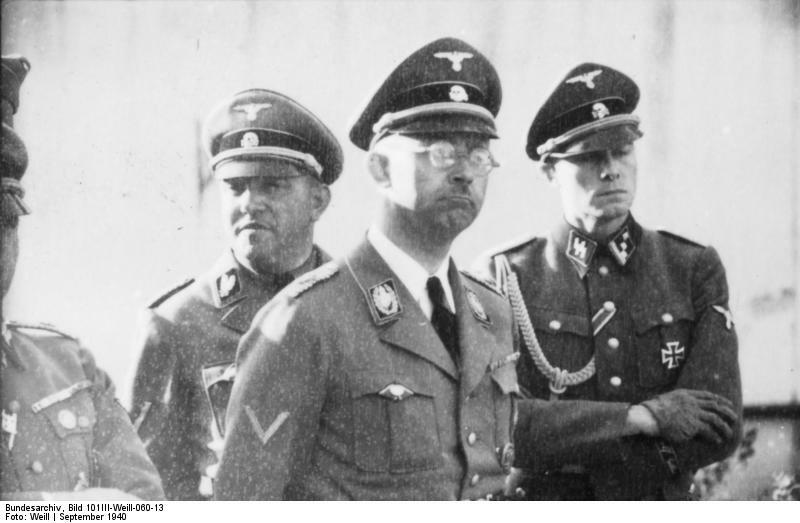 “The joint recognition of the enemy and the struggle together against it are what build the solid basis between the National Socialists of Greater Germany and freedom-loving Muslims of the world,” Himmler wrote. The telegram concludes with the SS chief sending the mufti his warm greetings on the “unhappy” anniversary of the Balfour Declaration and best wishes for the continuation of the struggle. Stephen Spielberg's Shoah Foundation has launched a campaign to record at least 50 testimonies from the North Africa and Middle East region, where the Nazi regime had gained a foothold during World War II. 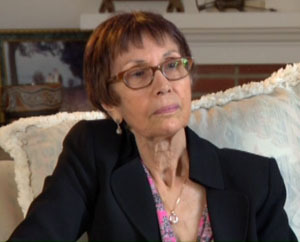 USC Shoah Foundation collected the first four testimonies in May of 2014 and is raising funds to begin phase two, in which it plans to record 20 more. These audiovisual testimonies, once collected, will be digitized, indexed and made accessible to people around the world through the Institute’s Visual History Archive. The Testimonies from North Africa and the Middle East collection includes the life stories of Jews who were living in North Africa and the Middle East during World War II and witnessed the destruction created there by Nazi occupiers or governments that were Nazi sympathizers. Though far from the Holocaust in Europe, North Africa and the Middle East were an important part of Hitler’s Final Solution. Hitler intended to exterminate all Jews, not just those in Europe, and according to Holocaust scholar Sir Martin Gilbert, the persecution of the Jews in French North Africa was an integral part of the Holocaust in France. For example, Nazis occupied Tunisia from November 1942 until May 1943, and Jews throughout this part of the world were subjected to deportation, imprisonment in concentration camps, and the destruction of their homes, as well as severe anti-Semitism and anti-Jewish laws from their own governments. 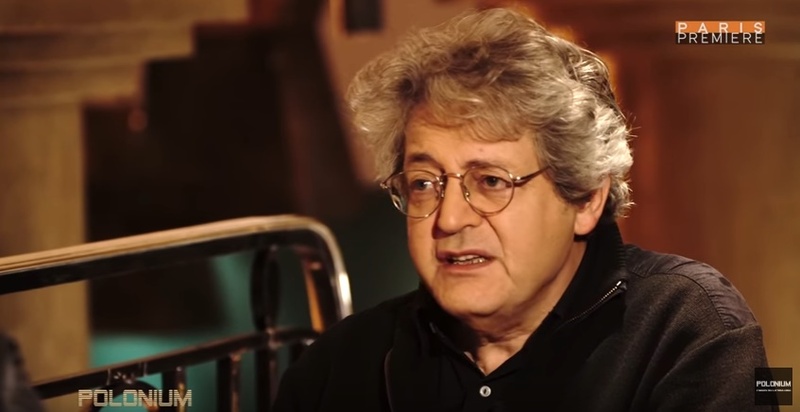 In the first phase of the project in spring 2014, program director Jacqueline Gmach interviewed Armand Abecassis, Andre Nahum, Claude Cohen-Tannoudji and Albert Memmi, who are each highly respected scholars and/or authors living in Paris. She was accompanied by interviewer Serge Moati, a French artist, journalist, film director and writer, and videographer Olivier Raffet. Ruth Pearl, mother of the late journalist Daniel Pearl, also gave her testimony about growing up in Iraq during the Farhud of 1941. The video singles out Iran for criticism because of its tolerance for its Jewish minority, saying that they are trying to “deceive the Sunnis” by presenting themselves as against the US and Israel while tolerating Iranian Jews living safely under government protection and having temples in Iranian cities. Iran has had a Jewish minority living in its territory for some 3,000 years, and with estimates of as many as 25,000 Jews living there, is unique among Middle East nations in having such a community, with other nations in the region not tolerating their Jewish minorities after the establishment of Israel. ISIS has been extremely hostile toward Iran since their founding, as a Sunni jihadist group that got its start attacking an Iranian-backed Shi’ite government in Iraq, and while it’s not surprising to see ISIS singling out Iran as an enemy, it is surprisingly to see the nature of their narrative. Islamabad: Pakistan has allowed a 29-year-old Jewish activist to change his religion from Islam to Judaism, an unusual move by authorities in the country. In normal circumstances, it would have been a normal practice to let Fishel Benkhald get religion of his choice in the column of religion for the forms filled to get national identity card and passport. But it was a task for Benkhald as he was registered as a Muslim, and it could be interpreted as apostasy. 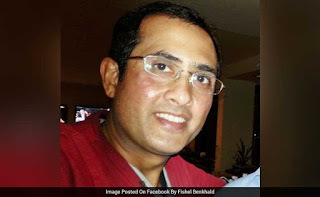 The ministry of interior in Pakistan has recently given the green light in response to Benkhald's application where he had sought 'conversion/correction' of his religion from Islam to Judaism in his national identity documents, the Express Tribune reported. In the National Database and Registration Authority (NADRA), Benkhald is registered as a Muslim. Faisal, as he is known in his current identity documents, was born to a Muslim father and a Jewish mother in Karachi in 1987. He was registered as a Muslim due to his father's religion. However, he made an appeal to the NADRA to allow him to return to the religion of his choice, Judaism, by correcting it in a smart ID card he had applied for last year. NADRA, which was in a fix over the issue, had asked for the interior ministry's opinion to correct the religion of a former Muslim, a ministry source was quoted as saying by the daily. In its response, the ministry said in writing that "the applicant may be allowed to practice religion of (his) choosing and preference". NADRA usually turns down such requests, especially from Muslims to any other faith, due to the sensitive religious atmosphere in the country. Although the interior ministry has given the green signal, NADRA has yet to issue a smart card after correcting Benkhald's religion. A document available with daily suggests that correspondence between the ministry of interior and NADRA over the issue had taken place in February-March 2017. Benkhald thanked the authorities, especially the interior ministry and NADRA, for granting him the right to profess religion of his choice, the report said. "What racist hate speech are they talking about?" he (the Sheikh) asked. The sermon was delivered at 'Aisha Mosque, Amman, Jordan, and broadcast by the Jordanian Yarmouk TV channel. Muhammad Sa'id Hawa: "Who are the ones who use racist hate speech? The leaders of the Zionists and the West claim that the Palestinians are nurturing their children, from a very young age, on racist and hostile hate speech, and that the Palestinians must stop nurturing their children on this hostile discourse. "They are lying! Who are the ones who use racist hate speech? "Indeed, the Palestinians nurture their children from a very young age, and even feed them – along with their mother's breast milk – on the notion that this land [Palestine] is a pure Muslim and Arab land, that this land was plundered by the Jews, that the only ones with rights to this land are those who fear Allah and worship Him, that the only ones with rights to this land are Muslims, or Arabs who are loyal to Muslims and support them. Yes, this is what we nurture our children on, and we will continue to do so. "What racist hate speech are they talking about? The [Jews] are the ones who came as foreign aggressors from all over the world. They came as aggressors and plundered this sacred land, violating its sanctities and driving out its inhabitants. "So who is using racist hate speech? Thus, we should not talk about employing discourse of tolerance and forgiveness." There were between 80,000 and 120,000 Jews in Egypt up until the mid-20th century. They had an impact that far exceeded their numbers in trade and even cinema, with actress and singer Leila Murad dominating the silver screen in the 1940s and 1950s. But the Arab-Israeli war of 1948 led to the disintegration of the community, with many leaving Egypt or being forced out under the regime of president Gamal Abdel Nasser. Today, the Jews of Egypt are estimated to number 18, with 12 of them in the coastal city of Alexandria. Magda Haroun's dream is for Jewish artifacts to be seen by the public, perhaps in a planned museum of Egyptian civilization. Officially, the government now makes no distinction between Pharaonic, Islamic, Coptic and Jewish heritage, and the antiquities ministry has come up with the funds to fix the roof of Alexandria's synagogue. "The (antiquities) minister promised me that a museum of civilizations will open, representing all the civilizations of Egypt," said Magda Haroun. The Egyptian civilization museum partially opened in February with a small exhibition but there are no definite plans as yet for displaying Jewish artifacts in it. However the minister, Khaled el-Enany, told AFP that in early 2016 he set up a committee to list "all the Jewish monuments and Jewish collections that are in the synagogues." 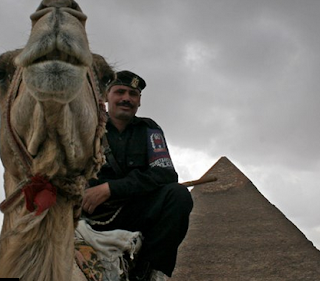 But on a public level, many Egyptians still have a mixed view of their Jewish compatriots. "It remains a complicated question," says Amir Ramses, who made a 2013 documentary, "The Jews of Egypt," on the community's history. "Mentioning the Jews in Egypt was a taboo," he said. There is just under a month left to listen to Ben Judah's family story on BBC Radio 4. It's a Jewish story with a difference, lyrically told; sad, yet offering some hope. Ben's ancestors - the Judahs, the Ezras, the Belilios and the Sassooons - settled in Calcutta from Baghdad, beginning in the 18th century. 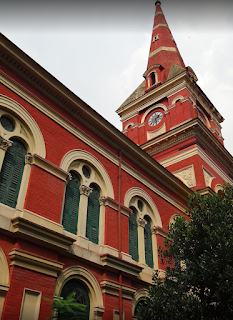 Today, there is little trace of these great trading families except in sepia-coloured photos and on the gravestones that lie behind a paddy field in the Calcutta Jewish cemetery . Trading - in jute, spices, opium - ran in the Judahs' blood. They were part of the Baghdadi community, who 'spoke Arabic, prayed in Hebrew, and longed to be English'. Calcutta was the jewel in a necklace of bustling ports established by the British in India and the Far East. 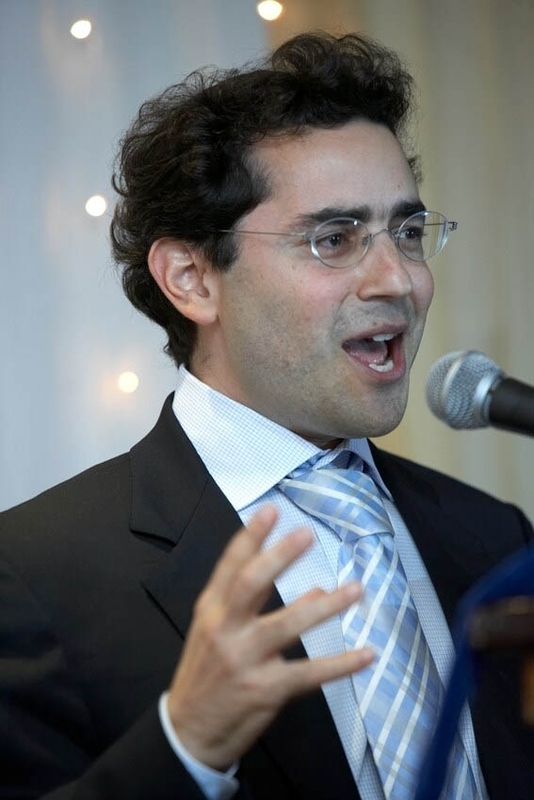 The Calcutta Jewish story, founded by Shalom Cohen from Aleppo, is almost over, says Ben. From 4,000 Jews, only 20 remain to light a forlorn candle on Friday nights. No rabbi, no weddings, no children, only funerals. Their descendants have moved to Britain, to Israel, to Australia. So far, so lyrical. Ben goes into romantic overdrive when he claims that Jews felt close to Muslims - 'faiths destined to live together' whether in India or in Israel. But Ben does explain that the British sphere was perhaps the most impenetrable. No Jews were ever admitted to British clubs. He describes how an uncle, wishing to escape the impending strife between Hindus and Muslims in the 1940s, attempted to convert his British subjecthood into citizenship, by arguing that he was of 'European culture': he failed. He was too 'dusky' to cross the colonial barrier. The authorities in Calcutta are busy restoring three synagogues. Ben Judah concludes his programme with the moving and important point that these buildings, though destined to remain silent, will be lasting memorials to a culture now lost in the places where the founders of the Calcutta community came from. 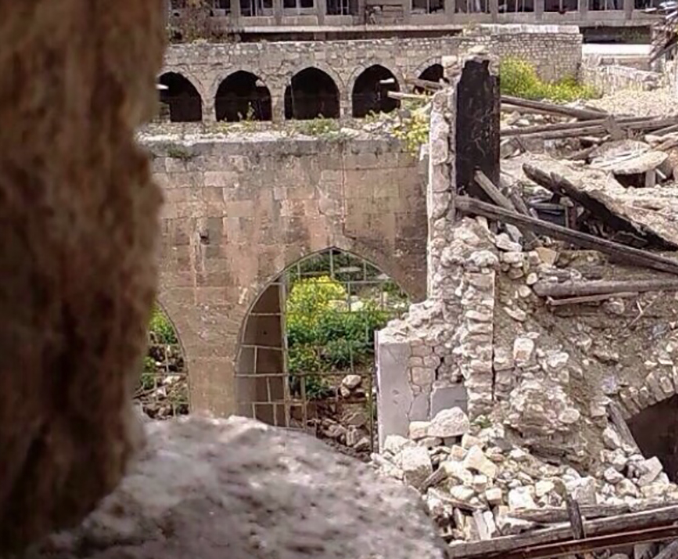 The Great Synagogue in Aleppo has been destroyed; the Great Synagogue of Baghdad is inaccessible. Another important difference: Jews will continue to be able to visit the graves of their ancestors. UN Watch director Hillel Neuer's dramatic rebuttal of a UN Human Rights Council report accusing Israel of 'apartheid' and 'ethnic cleansing' has now gone viral. 'Where are your Jews?' he asked the Arab states behind the report. A stunned silence descended on the chamber. It was perhaps the first time that the ethnic cleansing of Jews from Arab states had been mentioned in a world forum. Here is a transcript of the debate at the Times of Israel. UN Watch (Executive Director Hillel Neuer): Mr. President, let me begin by putting the following on the record: Everything we just heard — from the world’s worst abusers of human rights, of women’s rights, of freedom of religion, of the press, of assembly, of speech — is absolutely false; and, indeed, Orwellian. Today’s report does not consider Israelis to be deserving of human rights — consistent with the approach of this council, where today’s notorious agenda item against Israel completely ignores their human rights. Mr. President, why is Mr. Abbas celebrating a report written by the notorious Richard Falk, after his own Palestinian Mission here, tried in 2010, to remove Mr. Falk on the basis that he was “a partisan of Hamas,” as we know from WikiLeaks? President gives UN Watch back the floor. Israel’s 1.5 million Arabs, whatever challenges they face, enjoy full rights to vote and to be elected in the Knesset, they work as doctors and lawyers, they serve on the Supreme Court. How many Jews live in your countries? How many Jews lived in Egypt, Iraq, Jordan, Kuwait, Lebanon, Libya, Morocco? Once upon a time, the Middle East was full of Jews. Algeria had 140,000 Jews. Algeria, where are your Jews? Egypt used to have 75,000 Jews. Where are your Jews? Syria, you had tens of thousands of Jews. Where are your Jews? 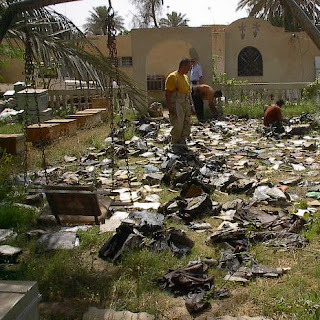 Iraq, you had over 135,000 Jews. Where are your Jews? Mr. President, where is the apartheid? Why is there a UN commission on the Middle East that does not include Israel? From the 1960s and the ‘70s they refuse to include Israel. Where is the apartheid, Mr. President? Mr. President, why are we meeting today on an agenda item singling out only one state, the Jewish state, for targeting. Where is the apartheid, Mr. President? Dudu Tassa & the Kuwaitis, an Israeli band with Jewish and Arab performers, has been invited to join iconic British alternative rock band Radiohead on their US tour as an opening act, Radiohead announced on Twitter Tuesday. "Dudu Tassa & The Kuwaitis will support Radiohead on their US headline dates, beginning in Miami on March 30th," Radiohead tweeted. According to the group's website, Dudu Tassa & the Kuwaitis is a "cross-cultural joint Jewish-Arabic project from Israel which revives the music of the Al-Kuwaiti Brothers - composers of some of the most popular Iraqi songs from the early 20th century." The Al- Kuwaiti brothers were Dudu Tassa's grandfather and great uncle, Jewish Iraqis who immigrated to Israel in the 1950s. Arab states, where are your Jews? That paragon of virtue, the UN Council for Human Rights, frequently accuses Israel of 'apartheid' and 'ethnic cleansing', in the hope that if you repeat a lie often enough, it will stick. 'The Arab world used to be full of Jews', he said. 'Algeria once had 140,000. Algeria, where are your Jews? Egypt had 75,000. Egypt, where are your Jews?' And so he went on, enumerating all the Arab states sitting on the Council. If that was proof of 'ethnic cleansing', to single out the world's one Jewish state was 'apartheid'. 'Where is the apartheid, Mr President?' asked Neuer. There came no answer from The UN Human Rights Council. Thousands of Jews are known to have converted to Islam under the 13th century fundamentalist rule of the Almohads and Almoravids in Spain and North Africa, but not much of their literary work survives. Now Professor Paul Fenton of the Sorbonne has brought to light a rare document by the Muslim convert from Judaism Ibn Zikri. 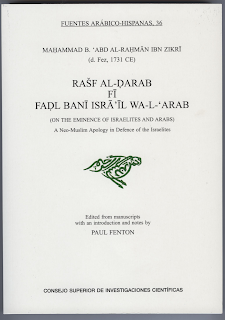 An annotated Arabic edition of Ibn Zikri's Rashf al-darab fi fadl bani Isra'il wal-'arab (0n the Eminence of Israelites and Arabs) was published by CSIC, Madrid, in 2016. This book opens up a whole new area of religious studies for it it is the first ever publication of a polemical work by a neo-Muslim of Jewish descent in defence of Israelite ethnicity. 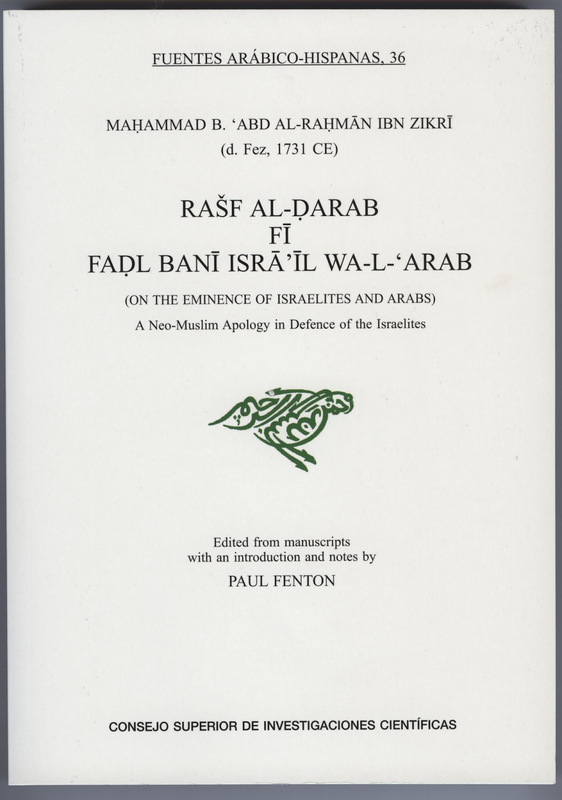 "The present publication of Muhammad Ibn Zikri's Rasf al-darab represents the first appearance of a unique apologetic work emanating from the ranks of the Jewish Marranos, known as Muhajirun, or emigres. Of the several crypto-Jewish communities that existed in Islamic lands, none, as far as I know, produced any substantial literary works reflecting their situation within the Muslim-Jewish convivencia. Despite their longstanding conversion to Islam, generally by force, the descendants of the Moroccan Marranos, often known as bildiyyin or bled, continued over the centuries to constitute a distinct section of Maghrebi society whose destiny was often to be dismal. Indeed bias against them festered among certain sections of the Moroccan aristocracy. Retrieved from the dust of oblivion, Ibn Zikri's work opens a new chapter in the history of inter-religious polemics and constitutes the most explicit defence of Jewish ethnicity in the arena of the medieval debate about ethnic superiority known as su'ubiyya." With 2017 marking the centenary of the Balfour Declaration, the 70th anniversary of the UN Partition Plan vote and the 50th anniversary of the Six-Day War, new historical research is seeking to shed light on some of the silenced and forgotten voices that were part of the lively Jewish-Arab discourse in British Mandatory Palestine. “These voices spoke of another option, the road not taken, which centered on a Jewish-Arab identity. It’s important that we recognize it, particularly given today’s fragmented reality,” Prof. Moshe Naor of the University of Haifa told Haaretz last month. “We want to underscore the complexity of this debate and not let the dichotomy of ‘Arabs’ and ‘Jews’ be viewed on such a simple level,” added Dr. Abigail Jacobson of the Van Leer Institute. Their English-language book “Oriental Neighbors: Middle Eastern Jews and Arabs in Mandatory Palestine” (Brandeis University Press) was published last December. It contains a wealth of examples of attempts at dialogue between Arabs and Mizrahi Jews – efforts that emphasized their ethnic, linguistic, cultural and geographical closeness, despite tensions between the Zionist and Palestinian movements. 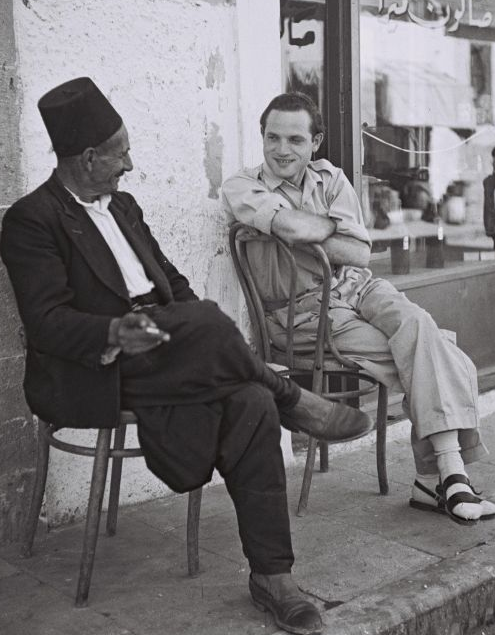 The Mizrahi Jews who lived in British Mandatory Palestine – which existed from April 1920 to May 1948 – fell into three main categories: descendants of Jews who had arrived after the expulsion from Spain and Portugal; immigrants from Arab countries; and Yemenites. At the start of the mandate era, they made up 40 percent of the Jewish population. As more waves of aliyah arrived from Europe, this percentage was reduced by about a quarter. The political, social, economic and cultural cooperation documented in the book illustrate how, at the time, some aspired to create a “New Middle East” in which Mizrahi Jews would make use of their dual Jewish and Arab identities to mediate and bridge between the two peoples and movements. His plan called for the declaration of a single state on both sides of the Jordan River, in which Jews and Arabs, who share “race, creed, history, language and hope,” would live side by side. Could an outlook such as Avisar’s, who championed cultural and social cooperation between Jews and Arabs, have done anything to prevent the escalation of hostilities between the two peoples? 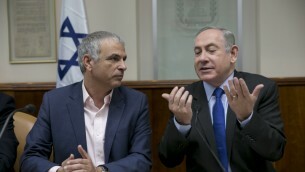 During a meeting of coalition party leaders on Thursday, Netanyahu was asked by Finance Minister Moshe Kahlon — who is of Libyan decent — why he called for a six-month delay of the scheduled April opening of the new public broadcaster, to which the prime minister responded “my Mizrahi gene acted up,” seemingly attributing his rash decision to this stereotype. Mizrahi is a Hebrew word meaning “eastern” and is used to refer to Jews whose families came from the Middle East and North African, as opposed to Ashkenazi Jews of European descent. Public Radio International took a break from covering Donald Trump in order to do a report on Judeo-Arabic. 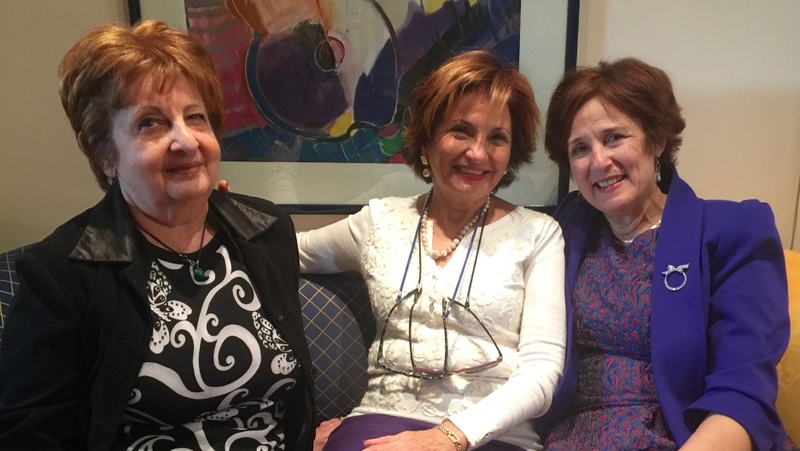 In Montreal, they tracked down Elsie Solomon, Lisette Shashoua and Gladys Kattan, three Iraq-born women who still speak the language. Regrettably we don't hear much of the dialect in this report: we get more of the historical context. One thing is sure: This language, while experiencing a mini-revival, is on its way to extinction. Judeo-Arabic is more than a dialect. New York University Hebrew and Judaic studies professor Benjamin Hary calls it a "religiolect." But as a natural language, it's dying. With so few Jews left in Arab countries, it is barely spoken — especially among the young. There is, though, renewed interest in Judeo-Arabic as a cultural artifact. In 2013, an Israeli feature film about the exodus of Jews from Iraq included mainly Judeo-Arabic dialogue. And there are attempts to capture and document the language before it dies out. All of which makes the three women Alina spoke with happy that their native tongue won't entirely vanish. For over six decades, Arabic-speaking peoples have undertaken a deliberate effort to erase part of their memories. No grand council was convened to approve the measure, but a collective decision was nonetheless made. No longer would it be remembered that once upon a time, not so long ago, Jews had lived among them. But the organized efforts by governments to eradicate this memory could not have succeeded had it not been met with enthusiasm and willing participation by the peoples themselves. To remember is to ask and some questions were better left buried, for an individual’s as well as a nation’s health. This is not to say that the memory of the Arabic-speaking countries’ Jews was completely wiped out. After all, no matter how successful the effort to eradicate all physical evidence, it was impossible to completely erase the existence of more than 850,000 Jews who had lived in the Arabic-speaking countries for centuries. Some things were bound to remain. An abandoned synagogue, a story from a grandmother, an odd name encountered in an old book, a 1949 Egyptian movie called Fatma, Marika and Rachel, some traces remained. But these traces were not of humans but of ghosts. The Jew, who had once lived there, was not a complete human being. Jews were mythical figures, of whose lives little was known except the confidence in their treason to the countries that had hosted them. The Jew was an alien body that had been expelled from the nation, just as the Zionist entity would be expelled from the region, one day, soon. But inevitably, today or tomorrow, an interest in the lost memory is bound to occur. A moment of personal or collective crisis, a moment of shock, a moment of confusion forcing self-reflection the urge may take many forms, but the questions are inevitable. And so it has come to pass that the lost memory of the Jews who once lived among them has returned to haunt the Arabic-speaking peoples. Before memory was to be regained, a few glimpses of the mysterious other were to appear. Nasser was born in 1918. In 1935 or 1936 he became a member of the Young Egypt Society led by Ahmad Hussein – a radical nationalist movement that was pro-Nazi in several respects. ‘The Second World War and the short period before it fired the spirit of our youth,’ wrote Nasser, ‘and moved our whole generation towards violence.’ Leading members of the Young Egypt Society included Ali Maher and Aziz al-Misri, two prominent Egyptian politicians who were known for their anti-British and pro-Axis stance. In 1943, Nasser and some of his military colleagues held meetings with Mahmud Labib, a leading member of the Muslim Brotherhood. Those gatherings took place once a week and ‘continued uninterrupted until May 1948, when mobilisation for the Palestine war [of 1948] occurred.’ In the 1930s the Brotherhood had received financial aid from Nazi Germany because of its antisemitic orientation. Thus, in 1947, Hassan al-Banna, the Brotherhood’s leader, explained the United Nations decision in favour of a partition of Palestine in antisemitic terms, deeming ‘the whole United Nations intervention to be an international plot carried out by the Americans, the Russians, and the British under the influence of Zionism.’ In 1948, the Brotherhood was nevertheless by far the largest political organisation in Egypt with at least one million members. Nasser was among those officers who provided lengthy clandestine training to the Brothers in preparation for the Palestine war of 1948. It was thus no accident that in 1949 Nasser’s name was found on a manual about grenades in a Muslim Brotherhood hideout. After the Free Officers’ revolution had swept away the monarchy and the old power elites in July 1952, ten of the fourteen officers now running the country had, at one time or another, sworn loyalty to the Brotherhood. With good cause the Soviets condemned the ‘reactionary officers’ group’ and their new ‘military dictatorship’. In 1942, at British instigation, Aziz al-Misri and Ali Mahir had been dismissed because of their explicit pro-German stance; both were reinstated ten years later by the Free Officers: Al-Misri was hailed as the ‘spiritual father’ of the July revolution and the Officers made Ali Mahir the new prime minister. It was not by chance that Egypt was henceforth to become the El Dorado of former Nazis war criminals and antisemites. One example is that of air force officer Mohammad Radwan. He had managed to reach the German lines during the war. He made his way to Germany, where he was arrested by the Allies in 1945 and then sentenced in Egypt to fifteen years in jail. In 1952, he was released and then employed in the Armed Forces’ Department of Public Affairs. Another is neo-Nazi publisher Helmuth Kramer: He received political asylum in Egypt in 1965 after a German court had found him guilty of ‘spreading Nazi ideas’. According to Kramer, Nasser personally dealt with his asylum request and gave permission for him to continue publishing his books. Whoever believes in the Protocols will also seek to destroy Israel. And, indeed, Nasser’s obsession with the Jewish state was a constant theme of his time in power. Firstly, he considered Israel a bridge-head of Western imperialism, a conspiracy theory that gained some credibility after Israel’s involvement in the Suez crisis of 1956. Second, he considered Israel to be expansionist by nature. ‘Arab unity means the liquidation of Israel and the expansionist dreams of Zionism’ he told a crowd in 1965. Nasser’s background did not of course rule out a later change of course. In 1953, his friend and combatant Anwar al-Sadat praised Adolf Hitler as an ‘immortal leader’ but 26 years later recognised Israel’s right to exist. Why was Nasser incapable of making such a move? This is where the radical anti-Zionism of the ‘Arab street’ enters the picture. It may well be that it was the mass enthusiasm which flooded Egypt on the eve of the Six-Day War that kept Nasser on the path to war. The Arab world had reacted ecstatically to Egypt’s Sinai move in May 1967. After the withdrawal of the UNEF troops, Cairo looked more like a carnival than a city preparing for war: ‘The City was now festooned with lurid posters showing Arab soldiers shooting, crushing, strangling, and dismembering bearded, hook-nosed Jews.’ The closure of the Straits of Tiran worked like magic: Now, Nasser’s Ahlan Wa-sahlan (‘You are welcome’) reverberated throughout the Arab world. ‘Congratulations and messages of support poured in from all capitals. 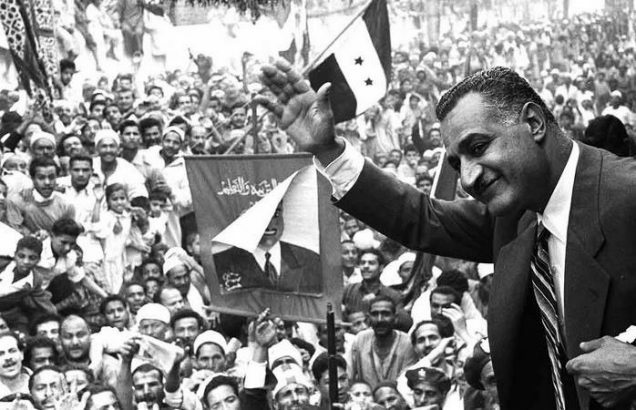 Delegations began to arrive in Cairo from Iraq, Syria, Algeria, Kuwait and other countries.’ Overnight, Nasser’s prestige in the Arab world had soared to new heights. Israel won its  War of Independence, but … Arab leaders did not acknowledge Israel’s independence. Though the world was now dealing with a Jewish country rather than a dispersed people, the political functions of Israel in Arab politics became almost identical to the functions of the Jew in the politics of Europe. … Arab leaders forged a target and scapegoat. Antisemitic agitation in Arab countries, based on European models, was nothing new, as recent studies of Nazi antisemitic propaganda in the Arab world have proved. For example, from April 1939 to April 1945, daily Arabic language radio broadcasts from Berlin constantly urged their Arab listeners to prevent the birth of a Jewish state and to exterminate the Jews living in Palestine. These antisemitic programs were popular and widely heard. Time and again they claimed that Zionism was inherently expansionist and aspired to destroy Islam. The closer the defeat of Nazi Germany came, the shriller became the broadcasts’ warnings about the consequences for Palestine should ‘World Jewry’ seize its opportunity. What was the significance of this for Nasser’s 1967 decisions? In 1967 this constellation reappeared, but in a new form. In 1967, 22 years after World War Two, the direct reverberations of Nazi propaganda hardly played a role. Instead, the Arab defeat of 1948 – neither reflected on nor really admitted – seemed to require revenge. At the same time, Arab rulers profited from the prevailing mood by using anti-Jewish scapegoating to divert their peoples’ attention from their own failures. According to Bourguiba’s analysis of 1965, Arabs and Israelis ‘would be able to live in harmony after having mutually ridded themselves of their complexes and their extremists’. This kind of clean-up, however, never began. Behind the question of whether Nasser could have resisted the ‘Arab street’ in 1967 lies another: why did he incite their mass fury in the first place? In my view, the main cause of both Nasser’s decision and the subsequent enthusiasm of his followers was the antisemitic impulse as it was carried over from the Nazi period to the post-war period and then to the next generation. It was neither Israel nor Zionism that provoked the 1967 war but the latent anti-Zionism and antisemitism in the Arab world. Is Iran really safe for Jews? 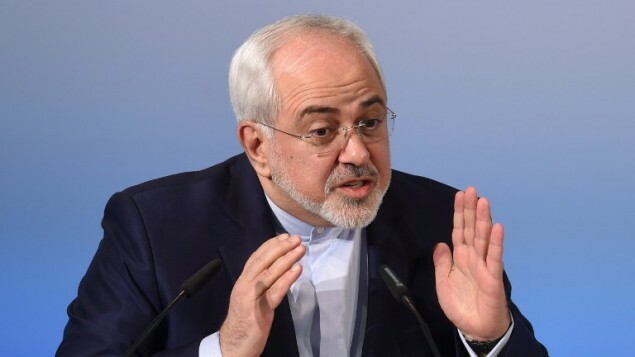 Mohammad Javad Zarif, Iran’s foreign minister, took to Twitter earlier this week to castigate Israeli Prime Minister Benjamin Netanyahu for propagating what Zarif termed “fake history.” The offense Zarif protested was the Israeli prime minister’s decision to draw allusions between the story of Purim and the present day. “To sell bigoted lies against a nation which has saved Jews three times, Netanyahu resorting to fake history [and] falsifying Torah. Force of habit,” the Iranian foreign minister declared. Zarif’s rebuke of Netanyahu was enough to win applause in some circles, but those who buy into the myth of an Iranian haven for Jews should think again. Take the modern day. How often have pundits talked about the Islamic Republic’s supposed tolerance for Jews by citing the fact that Iran’s parliament has a Jewish representative or that Iran is home to perhaps 20,000 Jews, supposedly the second-greatest Jewish population in the Middle East besides Israel? Let’s put aside the fact that no one knows just how many Jews are in Iran today. The 20,000 figure has been bandied about since the 1990s, even though many Jews continue to leave Iran for Israel or the United States. And also put aside the fact that the “second largest community” doesn’t mean anything when the difference between the first and the second are several orders of magnitude. It is akin to saying Finland is the second-largest destination for sun-and-surf beach vacations if the only other choice in the survey is Jamaica. What matters is that, under the regime that Zarif represents, Iran has lost at least 80 percent of its Jewish population. That’s generally not a sign that Iran is a welcoming and healthy place for Jews to thrive or even live. Praise for having a Jewish representative in parliament is just as misplaced. When I attended synagogue as a student in Iran, members of the Jewish community did not trust the representative. His sole purpose seemed to be to pass pronouncements from the government to the synagogues and to be cited to deflect attention from Iran’s fairly horrendous human rights record. Beyond that, though, is Iran safe for Jews? It depends. Pogroms—as vicious as any in Eastern Europe—characterized nineteenth century Iran. Then there were the restrictive rules: In 1889, for example, the government prohibited Jews in Isfahan from going outside on wet days lest rainwater spread their impurity. Jews were also forbidden from touching food, speaking loudly, or purchasing any goods in the market. (Daniel Tsadik provides an excellent account of modern Jewish history in his 2007 book, Between Foreigners and Shi‘is; Habib Levy’s Comprehensive History of the Jews of Iran remains a masterpiece). It is true that, at times, Iran was a relative haven for the Jews. The irony here, though, is that it was the regime that Zarif represents not only overthrew an Iranian state that allowed its Jewish minority to thrive, but also sought to close the door on the laudable regimes of the distant past. Tunisian authorities announced that they prevented a 15th-century Torah scroll from being smuggled out of the country. The scroll was written on bovine skin. According to Tunisian authorities, a group of suspects were arrested following a tip that the Torah scroll was being transferred to a European country as part of an antiquities smuggling operation. 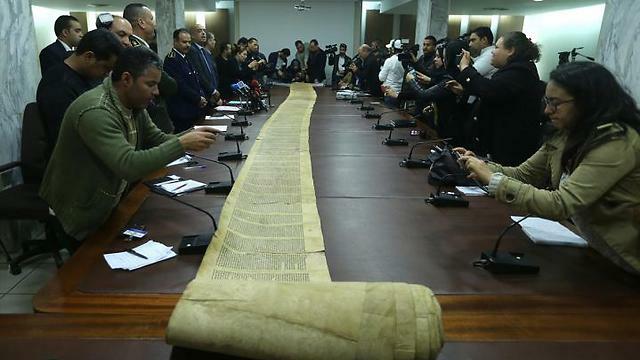 During a press conference, Tunisian National Guard spokesman Khalifa al-Shibani presented the rare Torah scroll, which measures 37m long and 47cm wide. According to al-Shibani, unidentified foreign elements attempted to buy the scroll, which he described as "a unique historical item for the world." Later in the press conference, al-Shibani said, "Experts at the National Heritage Institute have confirmed that the Torah scroll is an extremely rare, historical and invaluable item that is from the 15th century." The scroll seems to contain all parts of the Torah, yet Hebrew language experts argue that this scroll was written before the various books of the Torah were organized into their present order. The Jewish Museum of Maryland will host a major traveling exhibit, Discovery and Recovery: Preserving Iraqi Jewish Heritage from October 15, 2017 to January 15, 2018. The exhibit details the dramatic recovery of historic materials relating to the Jewish community in Iraq from a flooded basement in Saddam Hussein’s intelligence headquarters, and the National Archives’ ongoing work in support of U.S. Government efforts to preserve these materials. The 2,000 square foot exhibit features 23 recovered items and a “behind the scenes” video of the fascinating yet painstaking preservation process. Exhibit opened Sundays through Thursdays every week. According to Yemenite Jewish tradition, the Jews of Najrān trace their origin to the Ten Tribes. They lived in the region of Najrān in Saudi Arabia and were the only group of Yemenite Jews who lived outside Yemen under the rule of another kingdom. On the strength of the laws of the desert and tribal protection, they were not subjected to persecution as were the Jews of Yemen. They enjoyed the same equality of rights as the Arabs of Saudi Arabia, were not taxed, and did not pay the *jizya (the poll tax imposed on non-Muslims in the Muslim countries "in exchange for the protection" granted them by the government). The Bedouin of Saudi Arabia, who belonged to the Sunni Islam sect, practiced religious tolerance toward them and ate meat slaughtered under their laws of sheḥitah. The Jews of Najrān carried weapons in self-defense, as did the other inhabitants, and were renowned for their courage and strength. There was no other place in the Arabian Peninsula where Jews lived in such dignity and freedom as in Najrān. By profession they were craftsmen: they worked essentially in goldsmithing and repairing arms. They earned a good livelihood and their material conditions surpassed those of Yemenite Jews. Their settlements were scattered throughout Najrān in small units of two to forty families. They lived in clay houses or in huts. Their clothes, of both men and women, were slightly different from that of Saudi Arabians and Yemenite Jews. The strict barrier between men and women, which was customary in social life throughout Yemen, was nonexistent among them. At festivities and celebrations men and women sat together and women danced to the sound of the men's singing. After 1936, their relations with Yemenite Jews were not very close, because the two groups were under the rule of different kingdoms which occasionally were at war with each other. The life of the Jews of Najrān, dispersed as they were in small settlements, did not encourage the development of Torah studies among them or the fostering of an independent spiritual culture. In matters of religion and halakhah they were dependent on the community of nearby Saʿdah (one day away from them), and when necessary, on the bet din of *Sanʿa. The Jews of Saʿdah served as their spiritual guardians in times of need: they provided them with religious books and guided them in their religious practices. Therefore, their prayers, customs, and system of study were very closely related. 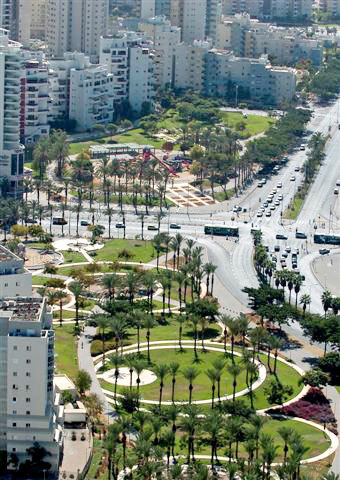 In Israel they are concentrated in Kiryat Ekron, which is inhabited by the Jews of Saʿdah. When the Jews of Najrān immigrated to Israel in 1949, they numbered about 250. The Yemeni city of Najran was conquered by Saudi forces in 1934, absorbing its Jewish community, which dates to pre-Islamic times. 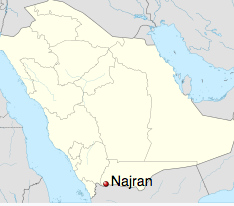 With increased persecution, the Jews of Najran made plans to evacuate. The local governor at the time, Amir Turki ben Mahdi, allowed the 600 Najrani Jews a single day on which to either evacuate or never leave again. Saudi soldiers accompanied them to the Yemeni border. These Jews arrived in Saada, and some 200 continued south to Aden between September and October 1949. The Saudi King Abdulaziz demanded their return, but the Yemeni king, Ahmad bin Yahya refused, because these refugees were Yemenite Jews. After settling in the Hashid Camp (also called Mahane Geula) they were airlifted to Israel as part of the larger Operation Magic Carpet. Was it too dangerous to celebrate the Jewish holidays on their real dates? No problem. They would trick their pursuers by celebrating a few days – or months - before or after the real date. The Anusim became accustomed to living in a world of secrecy. The Anusim therefore gradually became accustomed to living in a world where secrecy was the norm and disguise was a way of life. But despite their efforts and good intentions, they did have a problem. Their connection to the rest of the Jewish world had been severed. Without access to Jewish books, or even a Jewish calendar, it became harder and harder to remember all the prayers and laws. And there were many commandments that they couldn’t perform or were forced to transgress because the danger was too great. To compensate, over time the Anusim began to develop their own unique culture, complete with special prayers and customs. Nowhere do we see this more clearly than with the holiday of Purim. 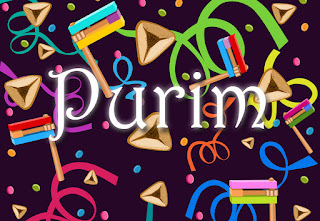 Traditionally, the Purim holiday is comprised of two parts: the Fast of Esther, a one-day fast that takes place the day before Purim, and Purim itself, a busy day filled with lots of mitzvot (commandments) and noise and laughter. But what is good fun for us was a day fraught with danger if you were a Hidden Jew. Drown out Haman’s name with noisemakers during the public reading in synagogue of Megillat Esther? Not in a community that scrupulously kept the location of their underground synagogues a secret. Get so drunk at the festive Purim meal that you can’t tell the difference between “blessed be Mordechai” and “cursed be Haman”? Not unless you wanted to wake up the next day to a personal invitation to appear before the court of the Spanish Inquisition. So what could the Anusim do? In a word, fast. They looked into the megillah and saw that when the Jewish people were threatened with annihilation, Queen Esther ordered a three-day fast for everyone. So the Anusim – who lived with that threat every day of their lives - decided to fast for three days, too. The Inquisition’s records provide us with some fascinating details about this unique custom. For one thing, the fast was mainly done by women, who felt a special connection to the heroine of the Purim story, Queen Esther. But since a three-day fast could be dangerous to a person’s health, the women found ingenious ways to observe the fast without endangering their lives. How will Jews in Muslim countries mark Purim? 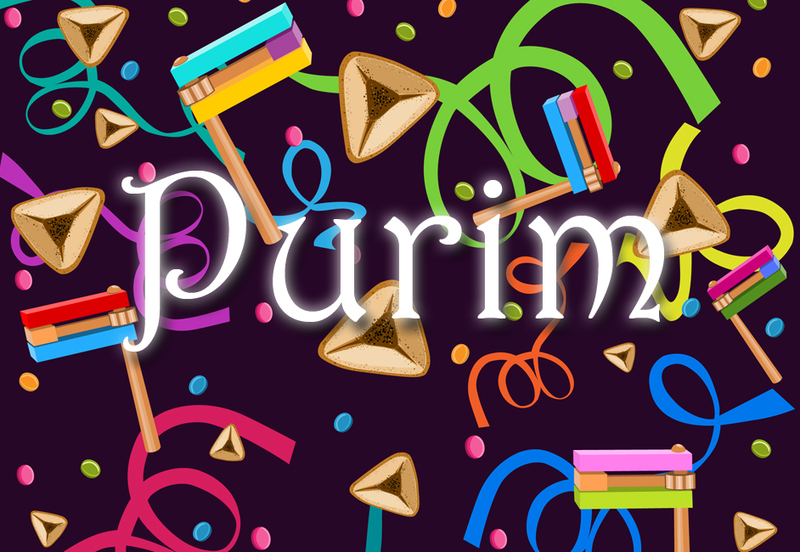 Across the world, the Jewish people are preparing to celebrate the Purim holiday, which is a festive occasion full of joy and happiness. However, Jews living in many Muslim countries find themselves in a precarious situation. Due to threats posed by radical Islamist groups such as ISIS or the regime itself, these Jews are still celebrating but at the same time, they do so in fear. However, there are exceptions to this general trend. Despite the rise of radical Islam in the Middle East and North Africa, there are places where Jews do feel more secure and thus are able to enjoy the holiday more. In honor of the holiday, JerusalemOnline is exploring, how are Jews in the Islamic world celebrating Purim under the radical Islamist threat? 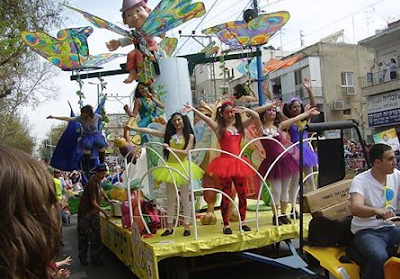 Although the holiday originates in Iran and features Iranian heroes, the plight of Iranian Jews celebrating Purim is quite dire. The population that once exceeded a vibrant 70,000 has now dwindled to approximately 12,000-15,000 members. Despite claims by the Iranian regime that they accept Jews as a protected religious group, many Jews have chosen to flee the land of their ancestors. According to anonymous sources, Iranian Jews can go to synagogue, attend Jewish day schools, close their businesses for Shabbat and even to consume wine for religious rituals in a country where alcohol consumption is punished by lashes and jail time. They claim that the Iranian leadership even provides financial support for a Jewish hospital and erected a monument honoring Iranian Jewish soldiers who lost their lives during the Iran-Iraq War. However, all Iranian Jews must demonstrate their enmity towards the State of Israel and to avoid having any connection with it. The anonymous sources stress that historic Jewish cemeteries in Iran have quietly been getting destroyed and local Jews don’t have the ability to object to it. They stress that even though Jewish day schools exist, they are not autonomous and they are controlled by the government. Many of them even have Muslim principals who force Jewish children to go to school on Shabbat. Prayer books and rabbis are in short supply. Given this, the sources stress that local Jews feel like outsiders in the Islamic Republic of Iran despite their almost 2,000 years of history in the country. 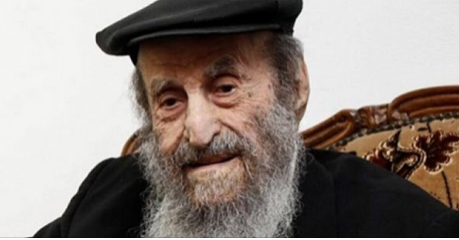 The 117-year-old Rabbi Zecharia Barashi on Tuesday left a world very different from the one he found, as Israel’s oldest resident – and the world’s oldest Jew and rabbi - passed away from natural causes at his Jerusalem home. Barashi immigrated to pre-state Israel in 1936 from his native Iraqi Kurdistan, first laboring as a construction worker and then as a rabbi ministering to his fellow Kurds, according to The Times of Israel. He also founded a national organization for Kurdish Jews and worked as an educator in Jerusalem. His longevity records were not confirmed by the Guinness Book of World Records due to issues with documentations, but his claim was accepted by Israeli authorities. He is survived by 29 grandchildren, 72 great-grandchildren and 24 great-great-grandchildren. Every year, more and more French Jews decide to settle in Israel: a sometimes painful choice, often dictated by the rise in anti-Semitic acts in France. Many French Jews who came to settle in Israel eventually leave, often after having a difficult time integrating. They have left behind language, work, money, family, country of birth, school, friends, classmates, neighbours, the synagogue, Sunday as the official day of rest over a lifetime. Plus they have the headache of finding accommodation. Where can we put the sideboard, the Louis XIV and Louis XV armchairs? In Israel the kitchen is the dining room. In short, they feel fobbed off, stifled. The young people didn't want to leave France - their parents decided for them. Nobody promises Eldorado. Aliya is complex and difficult. Wages are low compared to France, plus you use up all your savings. The reality of everyday life is far from what they dreamed of. When you arrive in Israel, you have to start from scratch. Then there's the abrasive Israeli, who doesn't say thank you, jumps the queue, he's rude, very rude. But he is always giving up his seat on the bus and always keep his door open, and comes knocking on your door to offer you bread and cakes all warm from the oven to wish you Shabbat shalom and happy birthday. When it came to overcoming hurdles of language and qualification, I've learned to speak Darija Moroccan Arabic, so they could understand me - few spoke French in Ashdod. The airplane ticket made provision for us to bring in three giant-sized suitcases, but we had the right to only one suitcase. Dad paid back the price of the tickets to the Jewish Agency over ten years. The Sal Klita, (absorption basket to help new immigrants with their basic needs) of approximately 4,000 euros for a single person was beyond our wildest dreams. In 1966 it did not exist. The tax breaks did not exist in 1966. Free social security for the first year did not exist in 1966. French schools and lycees did not exist in 1966. Family allowances did not exist in 1966. It's not because you're a patissier in France that you will become a patissier in Israel. The job centre will encourage you to learn an extra trade and try your luck for free. Besides they'll give you a paycheck (Avtakhat Akhnassa), for the long months that learning the new job will take. We had a nice apartment with two servants in Casablanca and holidayed in Spain every year. Here no-one knew about holidays. We lived in a tiny apartment of 48 sq.m (the size of our balcony in Casablanca). We were allocated four iron bedsteads, four mattresses and army issue grey blankets, an oil stove and a table measuring one metre squared. There were five of us, but they must have thought we would take it in turns to sleep. Our household goods stayed in Haifa for months. We were not in a hurry for them as we had no power: the fridge, the washing machine, the television and the gas oven did not budge. The cost of transporting them by truck from Haifa to Ashdod was exorbitant. The economic difficulties, and the hardships of integration are part of aliyah whether it takes a year or 50. I came in 1966. There were five of us - Dad, mum, my two sisters and me. I'm the eldest. For six months we lived without electricity and on an untarmacked road, mountains of sand surrounding the fifteen houses that existed in the Gimel neighborhood where I lived. The houses were not yet finished, there were no shops, the grocery store did not exist. Once a day a cart passed by with bread, once a day a pickup truck came with blocks of ice that we put in dishes, laundry bowls and bathtubs. The milkman and oil merchant came with their wagon hitched to a donkey. Dad was without work for the first few months. In Casablanca, he was director of the Water Board. Here he watered the JNF trees for four hours. He was 40 and this was the era of mass migration of Jews to Israel form Arab countries and Europe. Later he did his military service and entered the police force. One year after our arrival, the Six-Day war broke out. It was new for us all : we finally had electricity but it was war. We were not used to this - it was the end of the world, the sky was falling on our heads. In the 1950s and up to the 1970s the conditions Sephardim lived in were very hard. It took a few decades for the Ashkenazi political establishment to publicly recognize the huge mistakes that they had committed in their reception and integration of Sephardim from Arab countries. For years we were Morocco Sakin. The Israeli Black Panthers began their movement in 1971 in Musrara, near Jerusalem, in response to discrimination. Saadia Marciano was our spokesperson. Improving living conditions for Sephardim wasn't considered a priority by the government. For them, we didn't exist. The Sephardi cities of the south of the country, a real desert - Dimona, Ashkelon, Beersheva, Ashdod, Yeruham, Netivot, Kiryat-Gat, Kiryat Malakhi - have risen to the challenge. 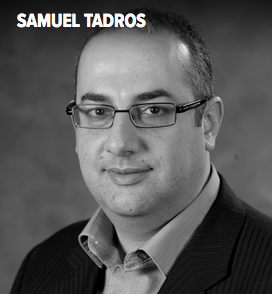 They have greatly contributed to the social and economic development of Israel. Our Ulpan teacher told us that his father arrived in Israel in 1921. He had to drain the swamps in the Jezreel valley (Afula). When I walk in that place with its wonderful and majestic landscapes, I say to myself, "it's amazing what we have achieved in the past hundred years". I hope that future generations can do the same. Israel is a human adventure, unique and unprecedented. It's a bubbling human lab where ethnic groups from the four corners of the world have learned to live together. After a trial for incitement to hatred, the prominent historian and author of a study of Jews in Arab countries, Georges Bensoussan, was acquitted yesterday (7 March) by a criminal court, according to Le Monde. During the trial a fine of 1,500 Euros was demanded. The groups bringing the prosecution against Bensoussan were the following: Mouvement contre le racisme et pour l’amitié entre les peuples (MRAP)), la Ligue internationale contre le racisme et l’antisémitisme (LICRA), la Ligue des droits de l’homme (LDH), SOS-Racisme and le Collectif contre l’islamophobie en France (CCIF) . The anti-Islamophobia organisation CCIF has announced it will appeal the decision. The trial divided members of LICRA, some of whom are Jewish. Sherzad Mamsani (second from right) at one of his commemorative events. HEWLÊR-Erbil, Iraq’s Kurdistan region,— The official representative of the Jewish community has announced that they have suspended their representation at Iraq’s Kurdistan Regional Government’s (KRG) Ministry of Religious Affairs indefinitely for “some reasons” without giving any further details. “Because of some reasons we have suspended our representation at the Ministry of Endowments and Religious Affairs until an undeclared time,” Sherzad Omar Mamsani announced on his Facebook page on Thursday. 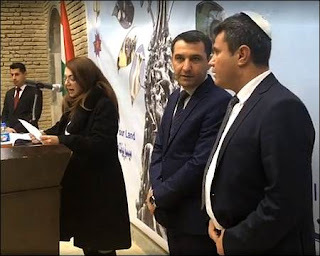 The representation was opened in 2015 after the Kurdish parliament passed a law officially recognizing the Jewish community with full ethno-religious rights, along other minority religions. Nabaz Ismail, the spokesperson for the ministry told Rudaw English that they have not been notified officially of the suspension. Ismail said Mamsani was conducting his official duties when he last saw him a few days ago. Mariwan Naqshbandi, a senior official at the ministry, however was aware of some issues that Mamsani raised with him as recently as yesterday, mainly about “the lack of funding” to their representation. Razan’s younger brother Salah, who gave Army Radio the recording and now lives in London after fleeing Aleppo over a year and a half ago by way of Turkey, said that his father is Muslim and his mother Jewish, and that he and his two sisters have always considered themselves to be Jews. “When I was a child my mother told me I am a Jew and I understand that. And before the war I told everyone, everyone knows I am a Jewish, all the neighbors around me. After the war, I couldn’t say that, because it is very difficult,” he said. Despite the family’s appeals for help from Israel, officials at the Jewish Agency, which has carried out a number of operations extracting Jews from hostile countries, told Army Radio that they had doubts about the family’s Jewishness. People in similar positions have in the past ensured that their Jewish identities remained under wraps as to avoid magnifying the danger they face. Israel has not taken in any refugees from the Syrian civil war and a plan to bring in 100 orphans has recently stalled. Elizabeth Tzurkov, who researches Syria at the Israeli think tank Forum for Regional Thinking, told Army Radio that she was aware of similar cases to that of the woman in the recording and questioned the source of the Jewish Agency’s skepticism. How many Jews died in the Farhud?